According to research published by unbiased.co.uk last year, roughly 60% of people in the UK don’t have a Will. The figure is even higher in Scotland, with both Glasgow and Edinburgh featuring in the top ten list of major cities in the UK with the highest percentage of adults without a will; 68% of adults in Glasgow and 62% of adults in the capital currently do not have a Will. It’s a common belief that making a Will is complicated, confusing and expensive. But for Aberlour supporters, it couldn’t be simpler, and it’s completely free of charge! To have your Will prepared by a solicitor it usually costs £150 for a single client and £240 for a couple, but we have partnered with McClure Solicitors to provide Wills free of charge for our supporters. McClure’s will prepare your Will free of charge, all we ask is that you consider making a donation to Aberlour, in lieu of the free legal services you are receiving. So, you pay nothing, Aberlour pays nothing, and 100% of your generous donation will support vulnerable children and their families in Scotland. Thanks to a generous donation left in the Will of one of our amazing supporters, we have been able to provide early intervention support to children and their families who are at risk of being taken into care. 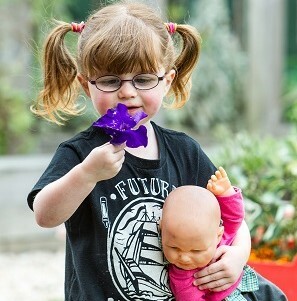 Aberlour Sustain provides a lifeline to children considered at the ‘Edge of Care.’ It provides support tailored directly to a family’s need, offering genuine intensive support that is personalised and builds on that family’s strengths and assets. We know problems for families ‘don’t wait until Monday morning’, so Sustain has been designed to wrap around families offering them support when they need it in their homes and communities. Recently, our Sustain team worked with a family who had one child taken into care and the view was that the other three children would follow suit. By working closely with the family three to four times per week, and engaging with their father who would not work with anyone previously, the three children were not taken into care. Not only that, the child who was taken into care has now returned home. This personalised, effective support has only been made possible thanks to generous supporters who have left gifts in their Wills to Aberlour.